I’m starting this recipe with a confession. I am not known for my astounding cooking abilities. I can grow it, I can preserve it, but I tend to be a disaster in the kitchen. Why am I sharing this? Why am I letting you know that I’m real? 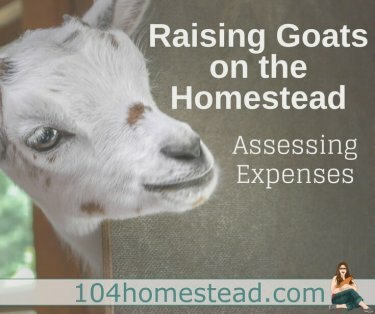 Because that way you know you can handle any recipe I share here on The 104 Homestead. This broccoli rice casserole is a perfect example. Funny story. My mom taught me this recipe (I think she knew I was destined to a lifetime of casseroles). It was my go-to when we had company because it looked more complex than it really was. Well, we had friends stop by so of course I made my famous broccoli, rice, and cheese casserole. No sooner did I lay the completed casserole on the table, one of my babies woke from a nap. I encouraged everyone to start without me while I went and got my small child. I come back and everyone is eating bread, with untouched casserole sitting on their plates. Not a word was spoken. I sat down and served myself up some broccoli, cheese, and rice and took a nice big bite. OMG! It was like cheesy sand! Yeah, I hadn’t cooked the rice long enough. It was horrible! Thank goodness for homemade bread and freshly churned butter. I am happy to announce that I now understand how to properly steam rice. Pour chicken broth in a large saucepan and bring to a low boil. Whisk in flour and then slowly whisk in milk. Continue whisking until the mixture is smooth and thick (about 5 minutes). Set aside. Saute onions in butter until soft. 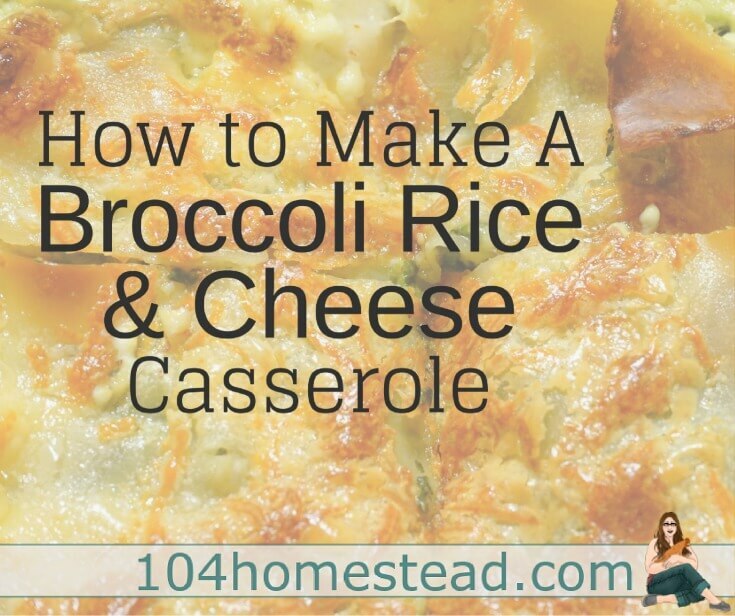 Reduce heat to low and toss in broccoli, rice, and about 2/3 of the cheese. Stir until the cheese is mostly melted. Add your seasonings and then transfer into a 9×13″ baking dish. Smooth in the dish and then top with remaining cheese. Bake at 350ºF (uncovered) for 1 hour. Make as directed above, but freeze before baking. Allow the broccoli rice casserole to thaw overnight in the refrigerator and then cook as directed. It reheats nicely as well. 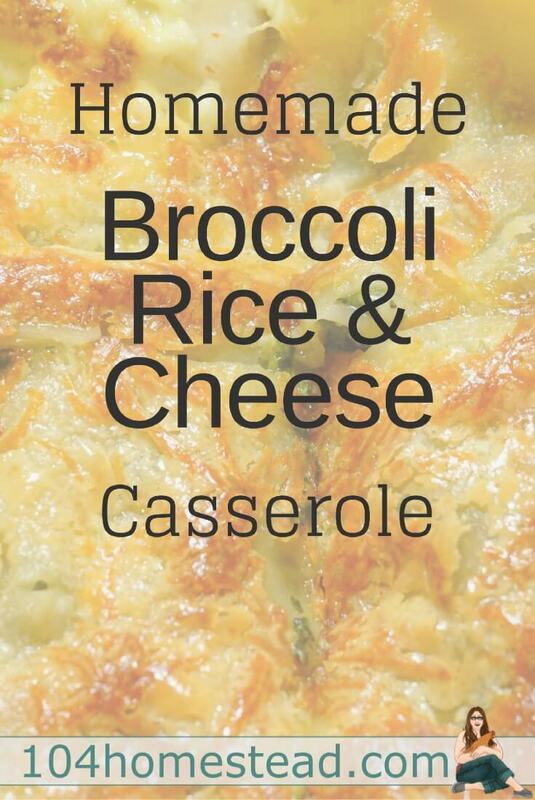 Get my printer-friendly Broccoli Rice & Cheese Casserole recipe here. I like your style… Funny I am a pretty good cook just for my husband and myself. But I find I don’t cook well for others. I also don’t like all the fake ingredients that appear at potlucks…maybe I will try this one! Thanks. I usually live in WY but am in Okinawa for 3 years in the city 10 th floor with a balcony . So we will see What is stopping me. Forged some prickly lettuce today for my Thai curry.